This project consisted of the layout, design and construction administration for 10 soccer fields with 5 additional field greens on a 65-acre site. 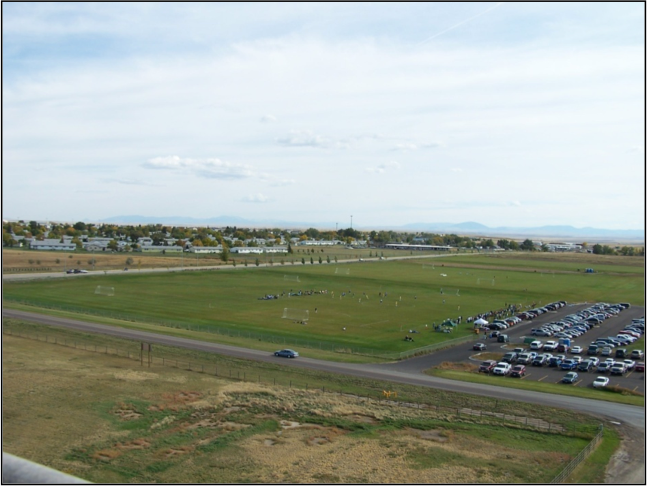 TD&H Engineering assisted the Soccer Foundation and the City of Great Falls with annexation and land purchase while utilizing the natural contours to provide a three-tiered site layout for the fields. Water and sanitary sewer were extended to the new maintenance building as well as a future pavilion and concessions building. The project also involved storm drain detention ponds, a parking area, and access road design.